The driver is an adrenaline junkie. The driver is blind, or possibly very touchy about his truck’s brand-new rear-view mirrors he just bought and is still very proud of. The driver had beans and broccoli for lunch. Can you recommend anything for constipation? Thank you, the stuff you recommended really works! The driver is very modest and doesn’t like others to see his work before it’s finished. Watch out, the driver is drunk! “How Is My Driving?” with 1-800 number. The driver voted for Romney, or had been hauling cargo between Kansas and Louisiana. The driver is John McCain. 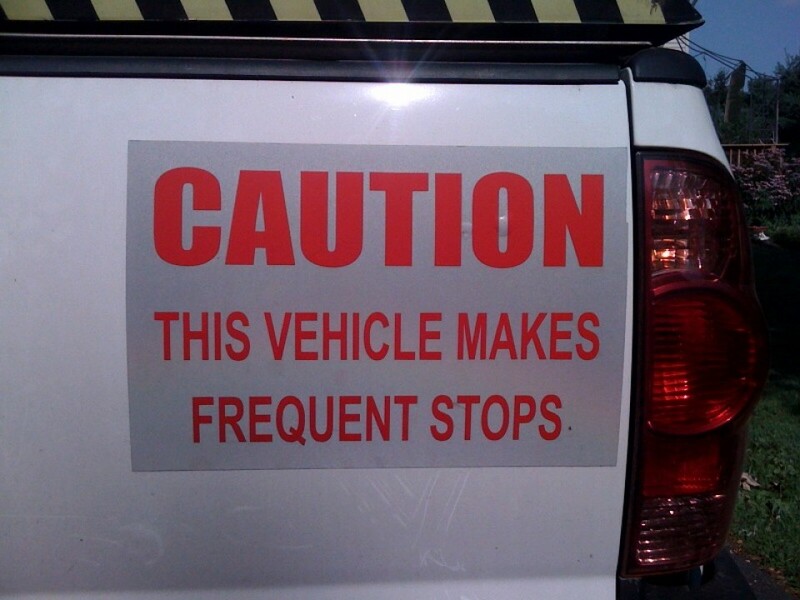 And if there is no decal on the back of the truck…. That can only mean that there is no driver in the cabin.